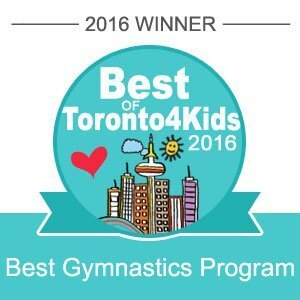 Gymalaya Burlington offers recreational gymnastics classes with state-of-the-art equipment designed specifically for young children. The kid size proportions of the equipment help motivate the children, enhance their performance and increase safety. Each week the configuration and setting of the equipment is modified to provide a new and stimulating experience. Our professionally developed, non-competitive curriculum is designed to build physical, mental and social skills while having fun. Gymalaya Burlington is proudly serving Burlington, Oakville, Hamilton, Milton, and other nearby communities. Our brand new Gymalaya Burlington facility is located inside the Burlington's newest all-in-one state-of-the-art activity complex. The ActivityPlex is a "One Stop Shop" for everyone, including activities such as gymnastics, dance, swimming, tutoring, fitness studio and more! *Cannot be combined with any other offer or promotion.